Our company is here to assist you with new installations, replacements, repairs and routine maintenance for your garage door springs. Read more about it here. Your garage door springs are one of the most important components in your door, but because they are somewhat tucked away, many owners have trouble keeping tabs on their condition. Since they are responsible for keeping your doors properly balanced, secured and safe to use, making sure that they are in good health is an essential task for any door owner. So, if you would like help repairing, replacing, or installing springs for your door, be sure to contact one of our technicians from Garage Door Repair Morrow for assistance. Need new Garage Door Springs Installed? Springs are commonly stored in tandem on either side of your door, this is so that they can work in pairs to ensure that it is always properly aligned and safely supported. They also take on the bulk of the work when it comes to providing your door with seamless lift, making them an essential part of ensuring your door’s functionality. If you need to have a pair of overhead or torsion coil springs installed to on your system to ensure that you get the best possible functionality out of it, be sure to speak with one of our technicians for assistance today. Like most things in life, even the best door springs are not built to last forever. They can take damages from rust, galvanic corrosion, old age and even accidents, making it important to have assistance on hand to have them replaced when need be. 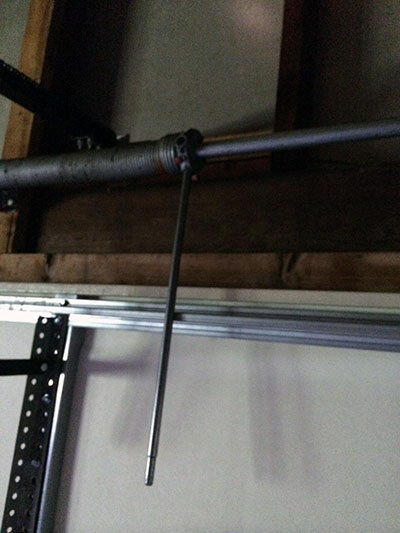 Even a single broken garage door spring can play havoc on your doors while making them unsafe to use. So, if you are noticing any signs of stress or damage such as cracks, or your springs have actually failed, be sure to contact us for help. To get additional functionality, and an extended lifespan out of your springs, it is necessary to inspect and maintain them on a regular basis. This will allow you to catch potential problems before they grow, and will give you peace of mind in knowing that your door is properly balanced and secured at all times. For easier maintenance, consider having a stronger product installed to your door, such as oil tempered or galvanized garage door springs, which will last longer and work better. If you need to have a new set of garage door springs installed to your door, need to have your old ones replaced or repaired, or simply require a little maintenance to ensure that your springs and door continue to work to your expectations, feel free to contact us today for more information on the services that we have on offer.